Tired of multiple listings of identical tracks in Songbird? I was! So I tinkered with it until I found out how to wipe all the ghost tracks away. 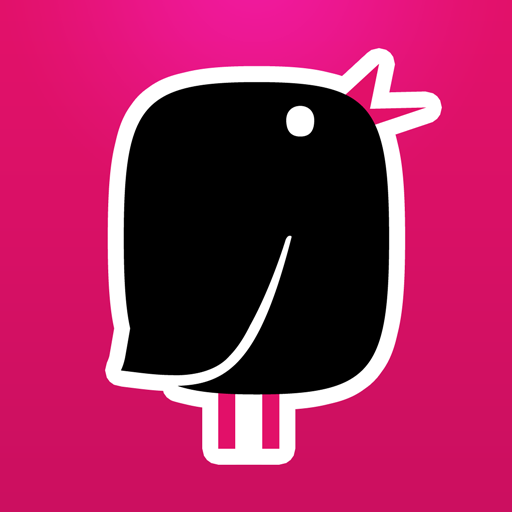 Songbird is a digital music player. It can be used on your PC, Android or iOS. It's a perfect alternative for iTunes, if you've had enough of the closed world there. That's how I found it! When Apple blocked access to LastFM, I finally had enough of being told what I could and couldn't do with my music. I've used Songbird ever since. But for all its good points, there's one very big annoyance. Songbird doesn't have the algorithm to know when two songs are the same. Over time, you can end up with duplicate listings of the same track. Let me demonstrate how to make them go away. YouTuber Grant Berntsen demonstrates Songbird, for those who have never encountered this music player. You might really, really love this tune, but not to the extent that you want to listen to it multiple times in one session. Songbird began as an open resource media player, codenamed Hilda, in 2006. It was developed fully by Pioneers of the Inevitable (PotI) and grew from strength to strength. Many of the add-ons and extensions were created by users. Amongst the favorites of these add-ons were two programs called The Exorcist and Attack of the Clones. Unfortunately, as Songbird was updated, both of these user created extensions became incompatible. Which is a great shame, because they tackled the biggest issue with Songbird. They took away all of those multiple listings of the same song, which could leave you listening to the same tune over and over again. Fantastic if you're really into the music. Rubbish on every other occasion. It generally happened if you'd tidied up your music folders, or otherwise relocated a track on your hard-drive. Or it might derive from running a program which brought everything into a Songbird shell. Or importing a playlist. The biggest culprit is creating a Watch Folder which links to the same place as a Create Library folder. Then EVERYTHING is duplicated. Suddenly each album has its individual tracks listed two or more times. You'd have to click on each song that you wanted to delete, then select 'remove' from the drop down menu. And who's got time for that sort of thing? My own work around was much easier than that. It was effective too. I did it with my own Songbird and now I have no ghost track listings. Often we can completely over-think an issue. I went for the clean sweep and it worked like a charm. So why couldn't I do that for the entire library? There were over 27,000 tracks, but I removed the whole lot. I selected 'music' from the 'library' listing, then highlighted every one of them before pressing 'remove'. It only took a few seconds. It wasn't like I individually went through every track. After clicking on the first track, I scrolled right down to the bottom of my library. Then, while depressing the Shift key, I clicked on the final track. All were highlighted, all were removed. I then spent a few minutes looking inside my music folders on my hard-drive. I ensured that they were nice and tidy, before adding the folders back into Songbird. Please note that this method will remove all of your play statistics too. You should now have an empty Songbird library. It will take anything from a few seconds to several long minutes, depending on the amount of music that you have, but it will result in a full, duplicate free Songbird library. Many Chrome browser users have been encountering 404 pages, redirected from a perfectly good webpage. Here's how to stop that happening. I'd imagine so. I doubt they'll be support it now. Oh no! So I'm still using it only because I have the program downloaded? Did you know that the people behind Songbird announced that they've shut it down?